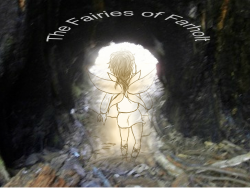 The Fairies of Farholt is a fantasy series written specifically to interest primary school readers. The first book has a female protagonist, but there are strong male characters in the story as well. The six books will all have child protagonists whose ages will be (subjectively) somewhere between eight and eleven. Since the characters are not human it's difficult to be specific, but they are children, not teenagers or miniature adults. There will be a mix of girl and boy characters. 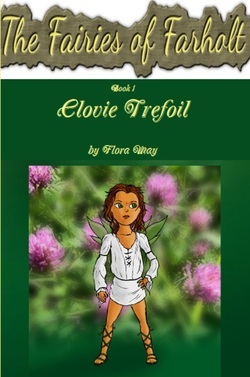 The first book, Clovie Trefoil, has a female protagonist. The second, Billabunya, has a male. Other ages are represented including young and old and ageless adults and also a couple of teenagers. The main child characters have rounded personalities. They have a mix of virtues and faults, but are generally positive characters. They are brave without being foolhardy and sensible without being dull. The cultures are made up, but for conveniences the Florafae in the first book are vaguely Scottish while the Aquafae in the second book are vaguely Australian. The races, Florafae, Aquafae, Faunafae, Petrafae and Fashfae all initially distrust or dismiss one another but a major theme in the series is learning to cooperate without sacrificing a sense of heritage. If any race is categorised as "bad" by one opinion or example there will always be opinions or examples to counteract and balance that impression. There is plenty of action in the series. Each protagonist undertakes some kind of important quest, facing physical danger and fears along the way. Getting out of bad situations is shown to take a mixture of personal effort and the good graces of others. Fantasy themes appear throughout the series, but not all of them are traditional. These fairies are not cute and do not live in toadstool houses or wave star-tipped wands. They are people with feelings, problems and hopes. Some of them can fly, but wings are not a get-out-of-trouble-free card. Flying takes a lot of effort and can be dangerous. All the fae have magic, but again it takes effort and cannot be used to solve every problem. The magic is more like talents in our world. For example, Clovie Trefoil can gain knowledge and help from plants because she is a clover fairy, but she can't make a magic flower to grant wishes. The Aquafae have some affinity and control with water and the Petrafae can work with stone. Most fae don't use magic beyond their specific talents; not because they can't, but because it's not done that way. Other fantasy themes include the quest for something lost, a map that needs reassembling, creatures who might help if asked the right way, unexplained events and displaced characters and a lost homeland. There is no graphic violence in the stories. Characters might be in perilous situations but there is no severe damage sustained. Family structures vary. Characters are more likely to live in loose clans or groups than in nuclear families. There is no romance in the series beyond a few older established couples who are comfortable together even though they may squabble. Friends can disagree and enemies can sometimes be helpful. On the other hand, enemies may deliberately bring the protagonists into danger. Without some suspense it wouldn't be quest fantasy. In the Costume and Craft section are suggestions for extension activities. Reading the first book as a class serial offers the opportunity for discussion on character development, world-building and plot progression. After each chapter, children might discuss, suggest or write down what they think is about to happen. The next episode offers a chance to see who was right. For older children it might be interesting to discuss the attitudes characters hold. For example, Aunt Crimsie opines that Aquafae are "cold". The Lochladdie's behaviour upholds this viewpoint, but Moll o' the Marsh is kind. Bitterwing the bogle sees the Florafae as "big flitty folk", whereas the Lochladdie and Moll see Clovie as "little". E-mails from readers are welcome.